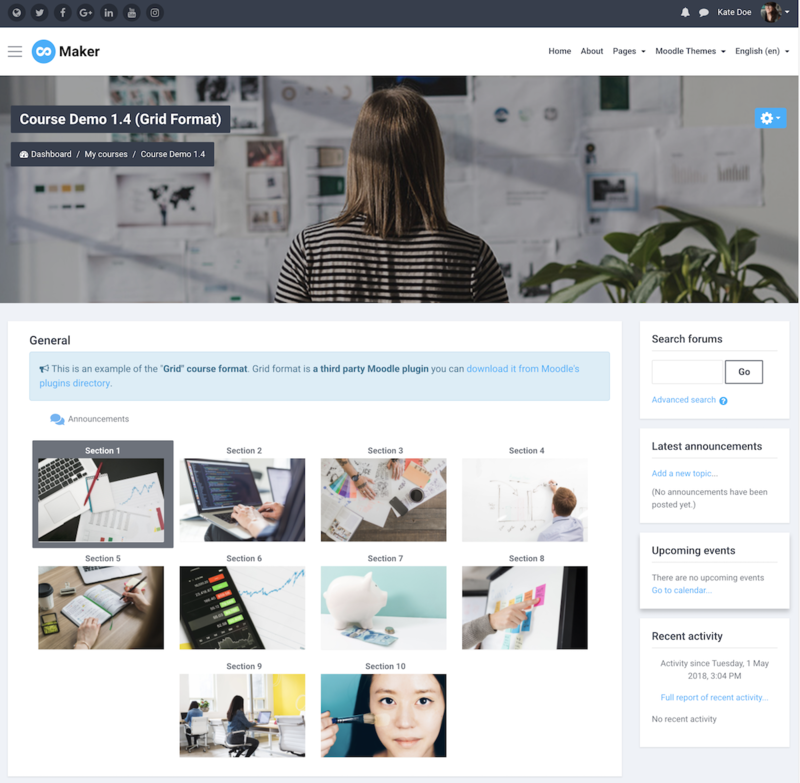 In our latest Moodle theme Maker, it’s possible to display your course thumbnail image and course excerpt on the frontpage course list as shown in the figure below. 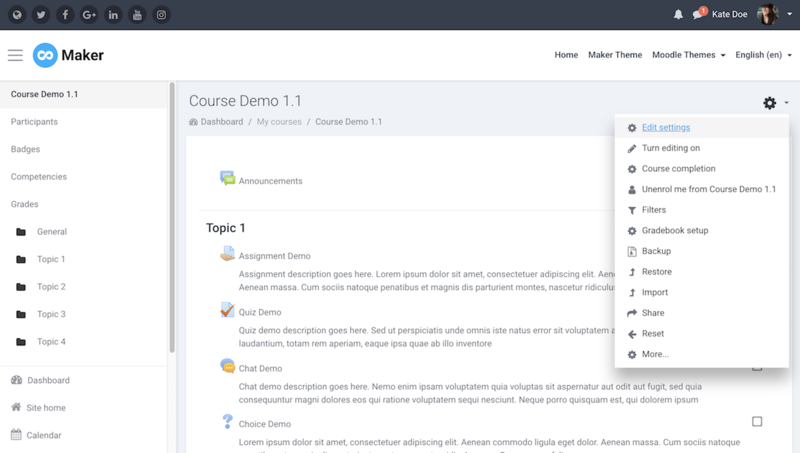 You can also check out our theme demo here for an example. In this tutorial we will show you how to achieve this. 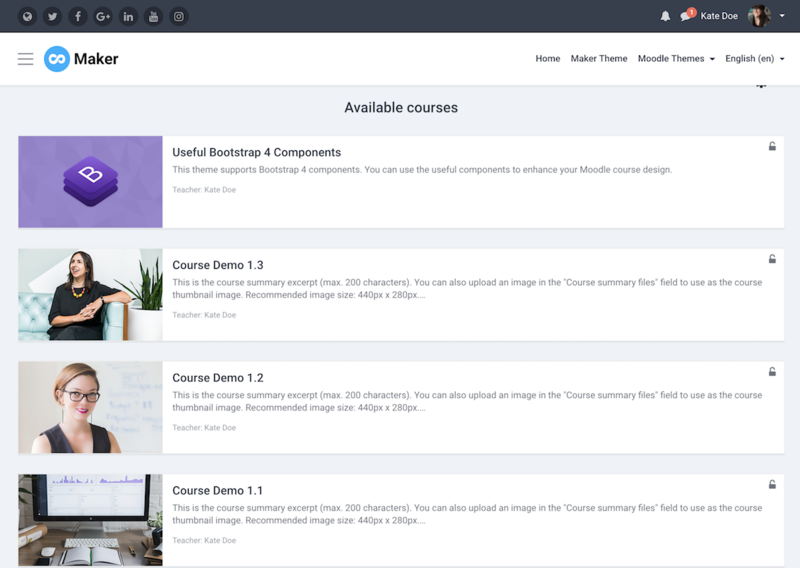 Update: Now you have the option to display the course thumbnail image as the course header image as well. On the settings page, enter your course description in the “Course Summary” input field. The content you enter there will be used as the course excerpt on the frontpage. 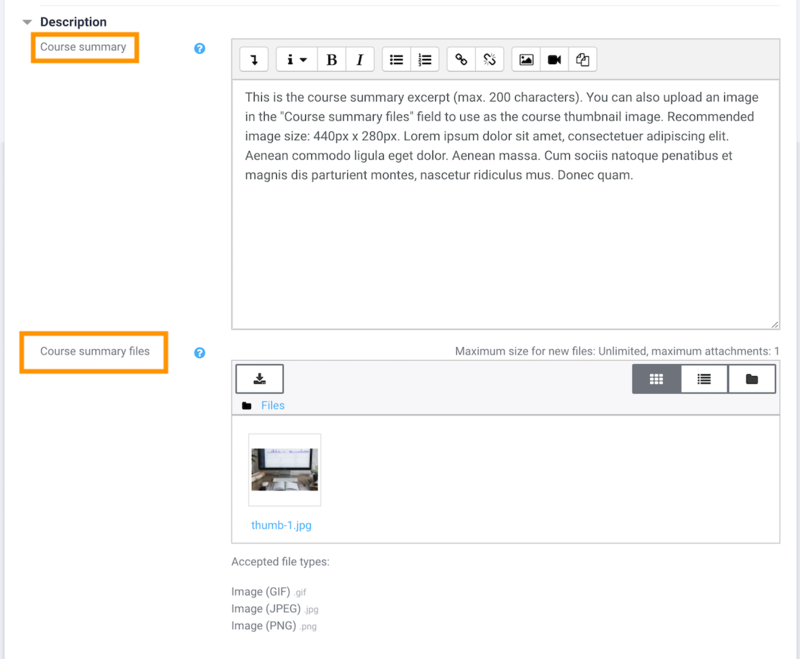 Upload your course image to the “Course summary files” input field. For the best result in theme Maker, please make sure your thumbnail image size is: 880px x 560px. Save your changes and go back to your site’s frontpage. You should see the course excerpt and thumbnail displayed for that course.